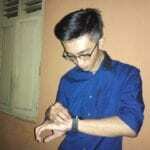 Previously, i have written an article which i suggested to learn certain tools a lot if you are in the penetration testing field. Those tools are used mostly by penetration testers, among other tools. Considering Kali Linux has over 600 pre-installed penetration testing tools, which could blow your head up. But, with those tools, each one does not cover for a unique attack, and yet some of the tools are having the same function. The article was TOP 25 BEST KALI LINUX TOOLS The tools listed in that article is a good starter for a beginner penetration tester. 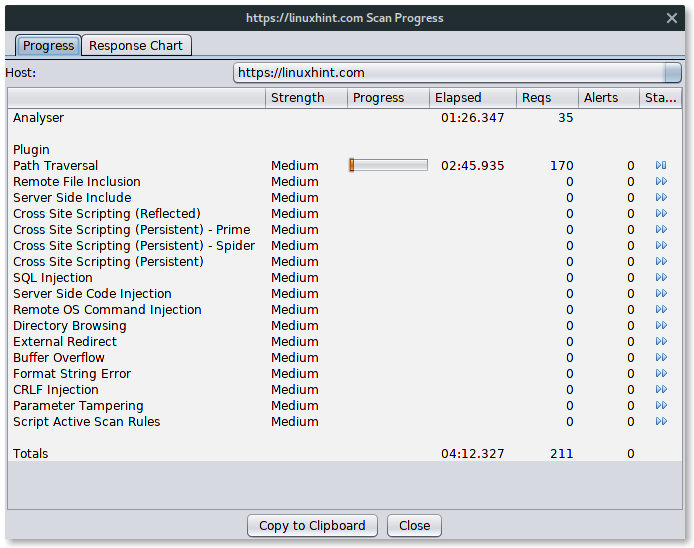 Below are the top 10 tools for penetration testing on linux. Some of these tools ore preinstalled in most penetration testing OS, such Kali Linux. The latter, is installed by using a project on Github. HTTrack then guide you to input the parameters it needs, like project name, base path, target URL, proxy, etc. Wireshark was originally named Ethereal is foremost network packet analyzer. 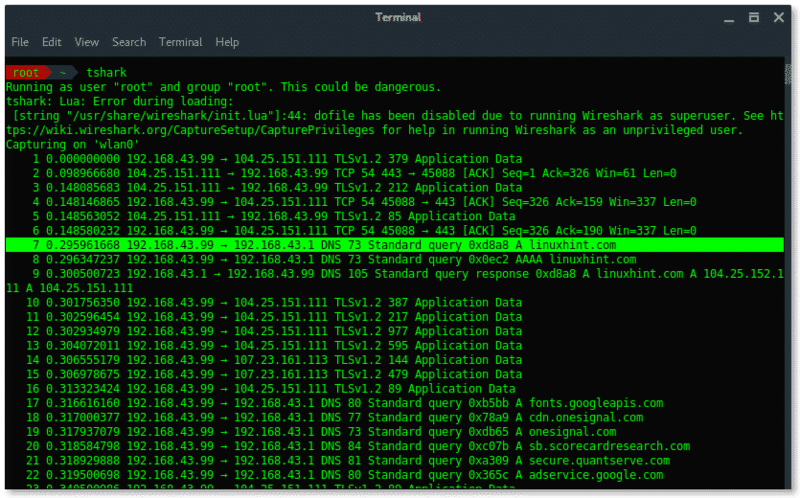 Wireshark let you sniff or capturing the network traffic, which is very helpful for network analysis, troubleshooting, vulnerable assessment. Wireshark comes with GUI and CLI version (called TShark). NMap (abbreviated from Network Mapper) is the best network auditing tool used for network discovery (host, port, service, OS fingerprinting and vulnerability detection). Hydra is claimed to be the fastest network login info (username, password) cracker. 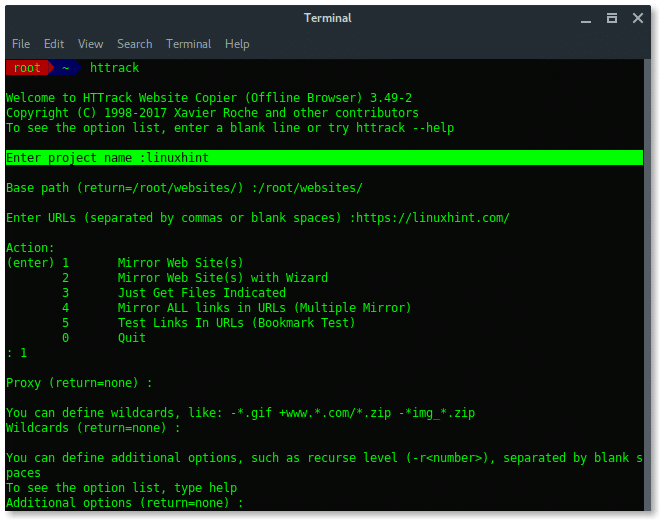 Beside that, hydra supports numerous attack protocols, some of them are: FTP, HTTP(S), HTTP-Proxy, ICQ, IMAP, IRC, LDAP, MS-SQL, MySQL, SNMP, SOCKS5, SSH, Telnet, VMware-Auth, VNC and XMPP. – airmon-ng : Activate or deactivate wireless card into monitor mode. 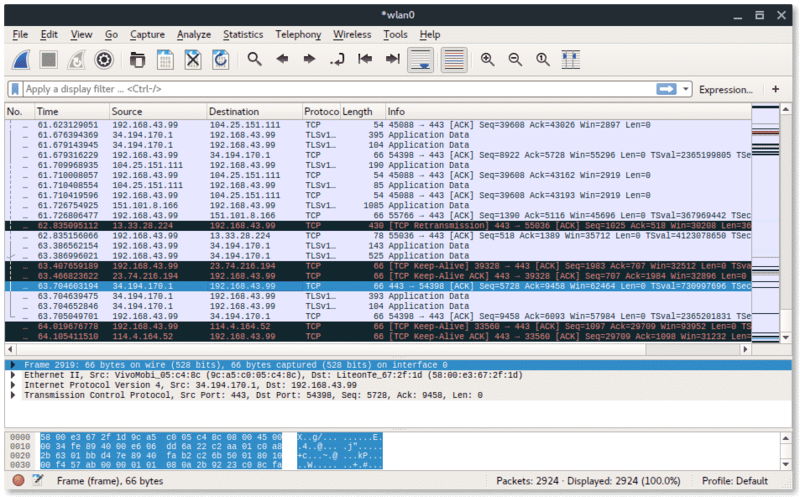 – airodump-ng : Sniff packet on the wireless traffic. – aireplay-ng : Packet injection, use to DOS attacking the wireless target. 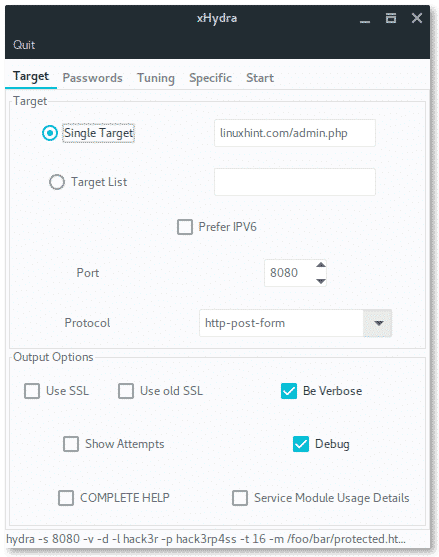 OWASP ZAP (Open Web Application Security Project – Zed Attack Proxy) is all in one Web applications security auditing tool. OWASP ZAP is written in Java and available in cross platform in GUI interactive. OWASP ZAP has so many features, such proxy server, AJAX web crawler, web scanner, and fuzzer. When OWASP ZAP used as proxy server, it then display all the files from traffic and let attacker to manipulate the data from the traffic. SQL injection vulnerability found !!! 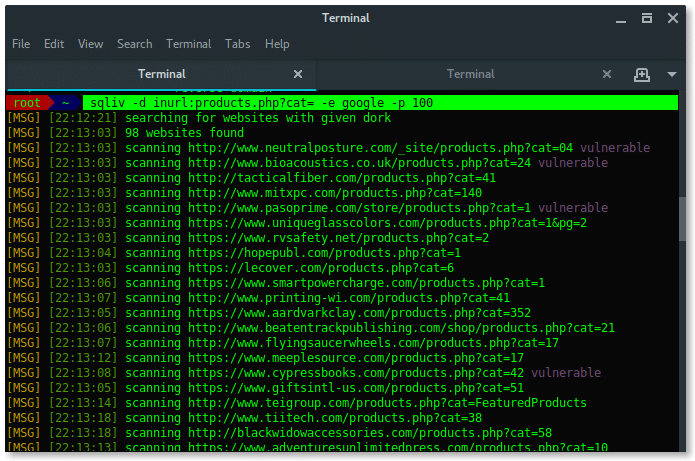 SQLMap is a free tool to detect and exploit SQL injection vulnerability automatically. Once you find target URL with SQL injection vulnerability it is the time for SQLMap to execute the attack. Below are procedure (steps) to dump the data from exploited SQL in target URL. SQLMap dump the credential data !!! On the first run, fluxion will check for dependency, and installs them automatically. After that go a long with the fluxion wizard instructions. Do you familiar with popular MiTMA tool called Ettercap?. Now, you need to know another tool which does the same but better. It is bettercap. Bettercap does performing MITM attack on wireless network, ARP spoofing, manipulate HTTP(S) and TCP packet in realtime, sniff credentials, defeating SSL/HSTS, HSTS Preloaded. Payload is what the exploit carry on and run after the exploit was succeed. By using payload the attacker is able to get data by interacting with target system. Let’s say auxiliary module is mainly aimed to test, scan or recon to target system. It does not inject payload, nor aimed to gain an access to victim machine. Encoder used when the attacker wanted to sent malicious program or called backdoor, the program is encoded to evade the victim machine protection such firewall or anti virus. Once the attacker has able to gain access to victim machine, what does he/she do next is installing backdoor to victim machine to get back connect for further action. 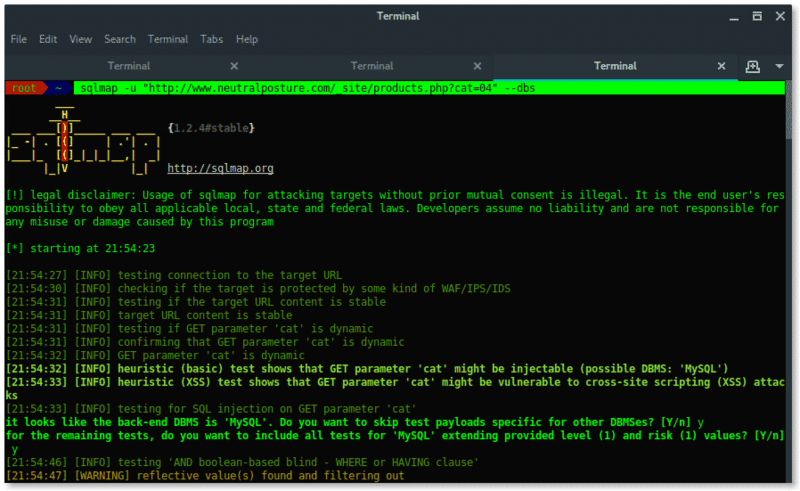 These are the top 10 best tools for penetration testing on linux.